Scientists are much smarter now, and blame jet stream dips on global warming. Cornell and Rutgers researchers report in the March issue of Oceanography that the severe loss of summertime Arctic sea ice — attributed to greenhouse warming — appears to enhance Northern Hemisphere jet stream meandering, intensify Arctic air mass invasions toward middle latitudes, and increase the frequency of atmospheric blocking events like the one that steered Hurricane Sandy west into the densely populated New York City area. It makes perfect sense that the record snow and cold during Sandy was due to an overheated atmosphere. Or these clowns could just “look out the window” and recognize that the Arctic quickly recovered and is just as ice-bound now as it is almost every winter. They already do the third thing! They leave their Chicken Coop each morning to tell the world the sky is falling and the end is near. Governments pay them money to continue this practice! Al Gore could take a tip from this new alarmist powerpoint film! Jet stream dips are due to low solar activity according to Prof Mike Lockwood. Which has got to hurt for the PIK guys since Lockwood is a CAGW guy like them. Lockwood doesn’t have a clue either. If you follow his citations carefully from the paper where he has made this claim, there is really no independent support there. It’s yet another one of those papers that leaps to conclusions based on correlations, absent plausible mechanisms. Notice how stratospheric warmings, which produce high latitude blocking and a negative AO and last for 4 to 6 weeks which were rare and mostly near [solar] max and min have been almost every years since the sun went ‘asleep’. Correlation with the solar cycle eh? Since when has CO2 affected the solar dynamo? Recall that the Ap index is still extremely low. Let me qualify that by adding that Lockwood might be onto something. But all that has been done so far is to sketch out a hypothesis. And it also cuts both ways. If you do manage to show a solar mechanism that can account for large regional changes in the distribution of heat, that’s very interesting by itself. Someone might say, “See the cold in Europe is due to the jet stream which is due to solar influences”. Therefore, “this doesn’t disprove the CO2 theory.” OK, if we grant that, then such changes might also explain why it’s warmer somewhere else, like the Arctic, also independent of CO2. The extended Moscow heat wave in 2010 was due to jet stream blocking. I would not be surprised if the same was true of the American summer heat wave last year. So if we pay evermore taxes Obama will straighten out the jet-stream? 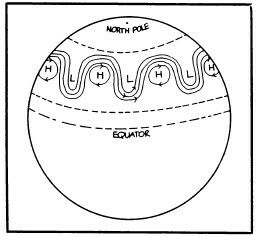 If the stratosphere cools in response to global warming, would that not, um, imply a greater pressure difference between the Poles and mid latitudes that would increase the jet stream velocity? The stratosphere over the north pole has been 10C above normal this year. Yes, I do realize that. The question is, how it got that way. The implication is, the radiant “forcing” from CO2 “downward” actually cooled the surface. In the 1880s, devastating hurricanes could steer themselves into New York City. Now, they are forced to… ban “assault” atmospheric blocking events! 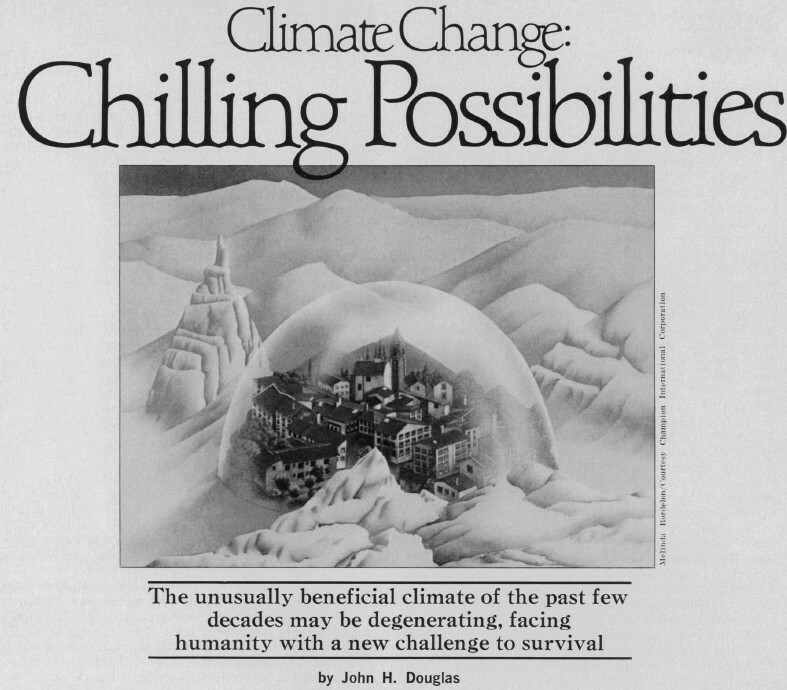 Precisely the opposite of what the Warmists tell us now.